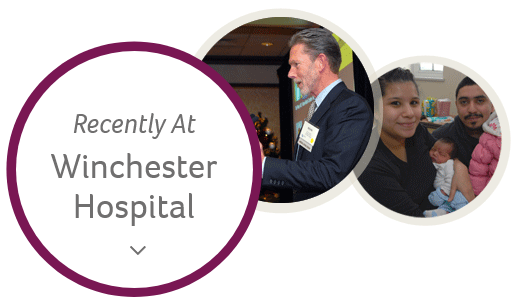 Plenty is happening at Winchester Hospital, and we’d like you to know about it. Here are the most recent press releases about our hospital and our services. Winchester Hospital, a member of Lahey Health, announced today that it has received a Leapfrog Hospital Safety Grade of an “A” from The Leapfrog Group, the nation’s leading nonprofit watchdog on hospital quality and safety. Winchester Hospital has achieved straight A’s since 2014. Brian Gaffey is an avid golfer. So too is Robert O’Brien. The two had seen each other around Winchester Country Club many times, but they had never gotten the chance to speak. That changed one Saturday afternoon. Both men were without a playing partner, so they decided to pair up. As the two made their way through the course, Gaffey learned that O’Brien is a dermatologist at Winchester Hospital.